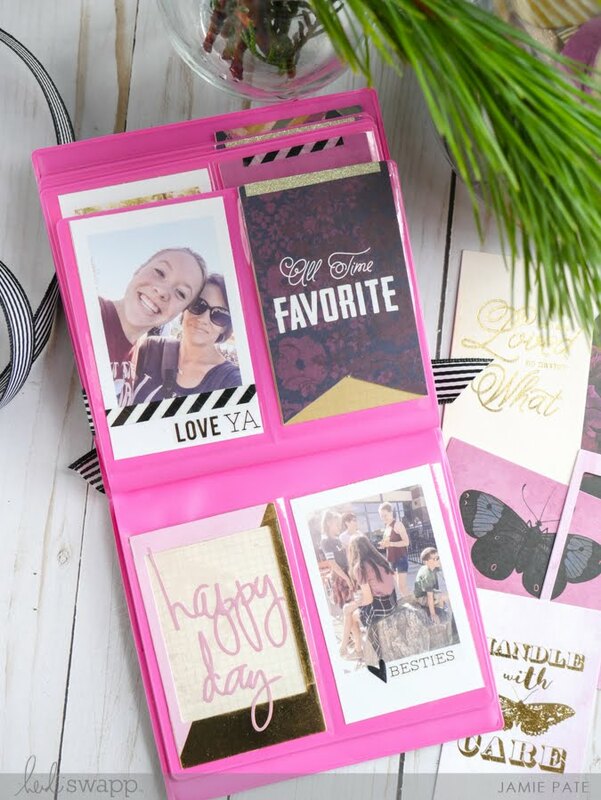 Create an easy and fun Instax gift album. 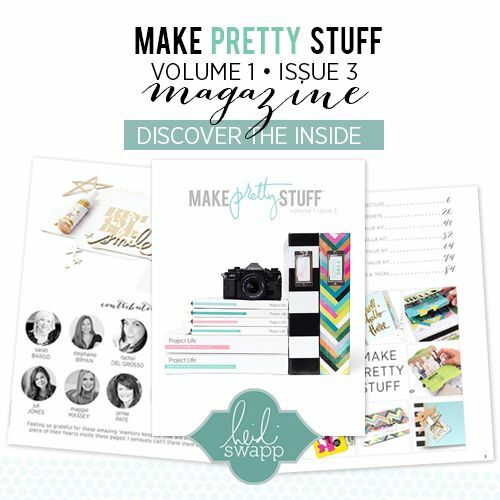 With the help of a sketch and a free download, I will show you how to quick and easy create a gift album to help you out with all that gift making and giving. Because photos continue to be the best loved gifts to receive. 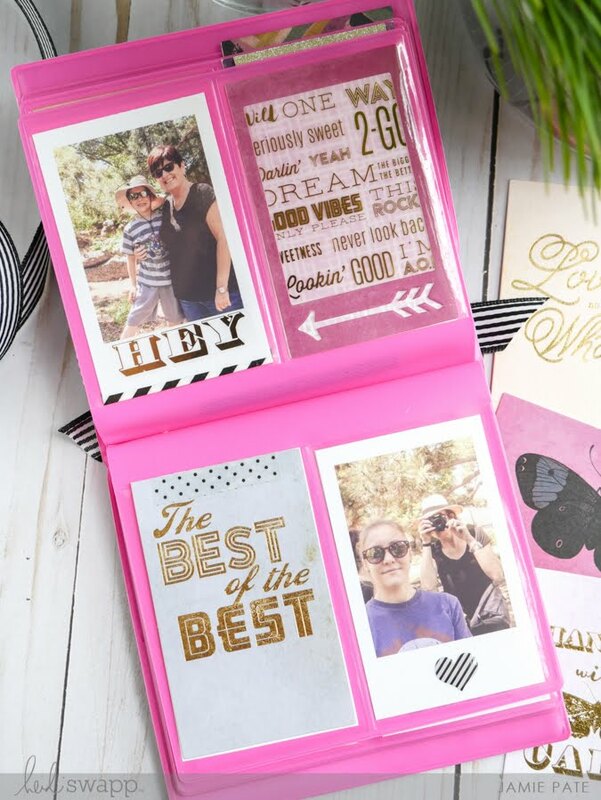 The Best of the Best is one of several flip albums available with the Heidi Swapp Instax Vintage collection. It fits Instax sized prints in the portrait format. 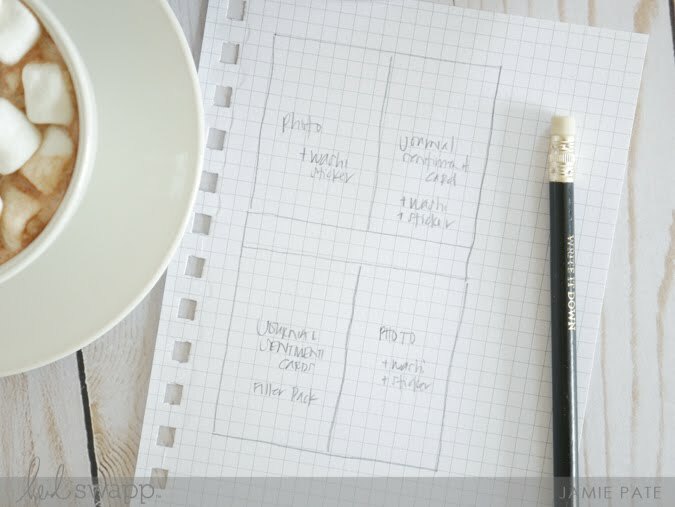 It comes in a psd format with layers to tuck your fav photos inside the template. Print on photo paper, or send to your favorite photo processing location in an 8x10 size to print. 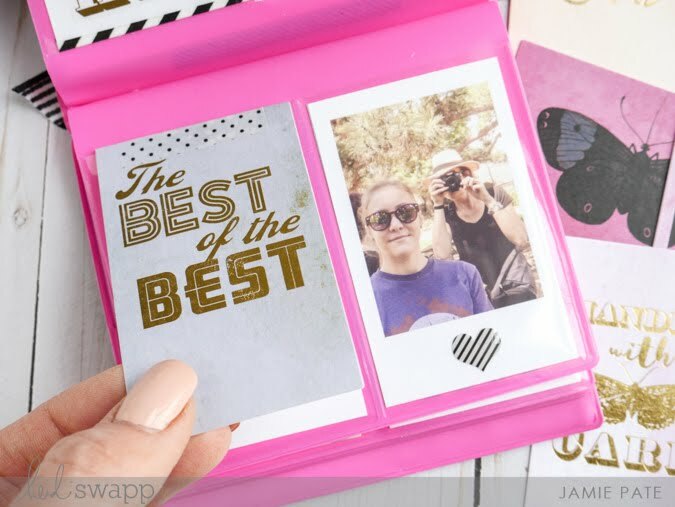 There are crop lines that make it easy to trim right along the lines leaving you with a great sized photo for the Instax album. Time is ticking for getting gifts made and wrapped, am I right? With that in mind I needed to make this album super quick and easy. I decided to follow a sketch idea so that I could just slide in my photos and journal cards right into their homes without a lot of guess work. 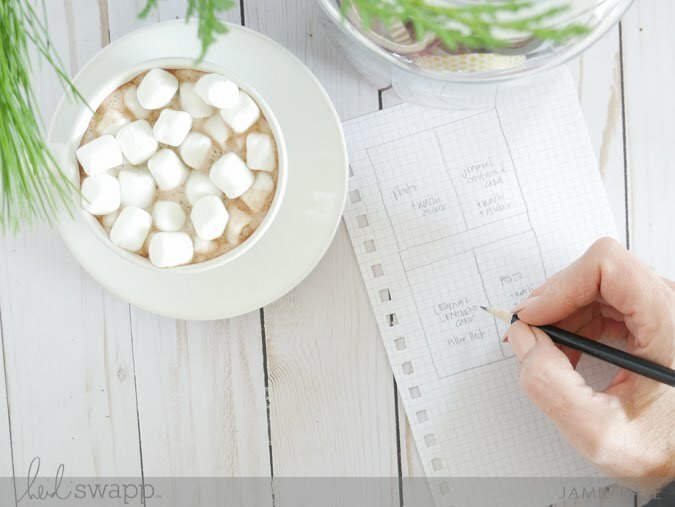 As the sketch shows, the top of the page pockets starts with a photo. Then the pocket to the right of that holds a journal card or interactive journal and sentiment card. 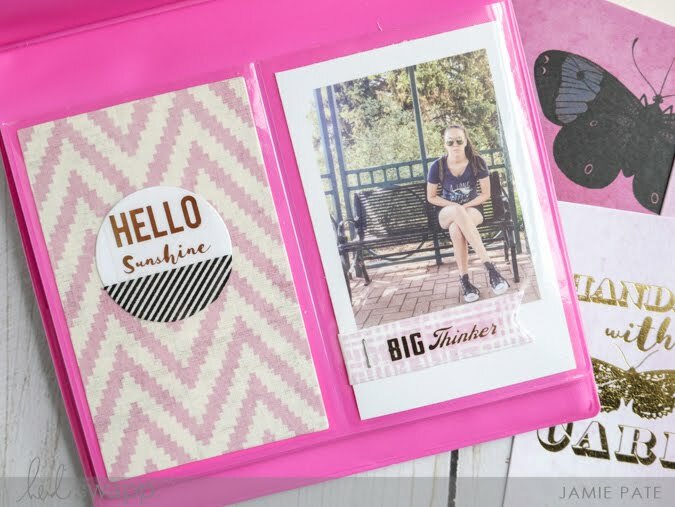 The bottom portion of the pocket page holds the journal/sentiment card on the left side, and then the photo in the right side pocket. This was my way to make this books quick fast and in a hurry. 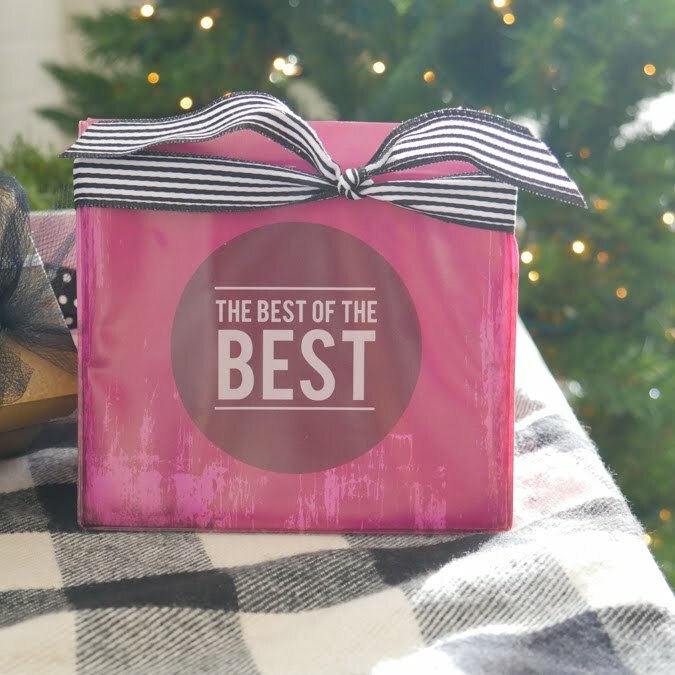 Heidi Swapp Washi tape will also accompany this gift album. And you will also see how I used a few embellishments from the Stationery line as well. Here's how my album went. 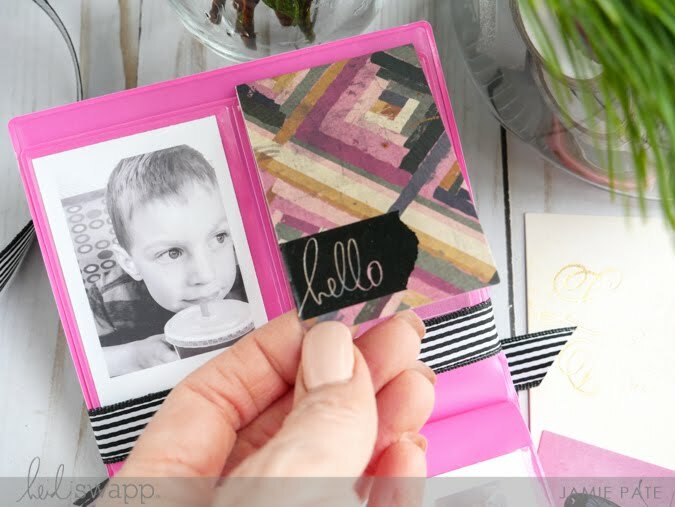 Following the sketch right away, this page starts with the photo on the top left, and then an interactive pattern and journal card from the Floral Filler Cards. For the interactive card, the top pattern card was scored and foldeed over the journal card underneath. A strip of washi from the black collection embellishes the front. 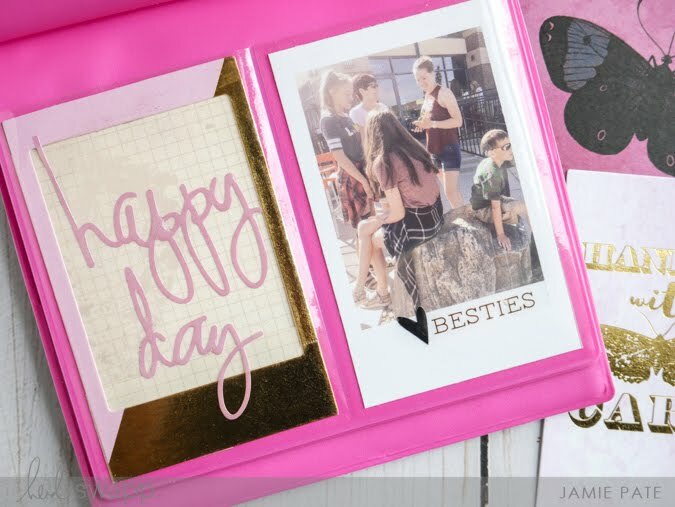 The bottom journal and sentiment card is attached to each other with a piece of washi tape at the top. You will see this technique throughout the pages in this book. 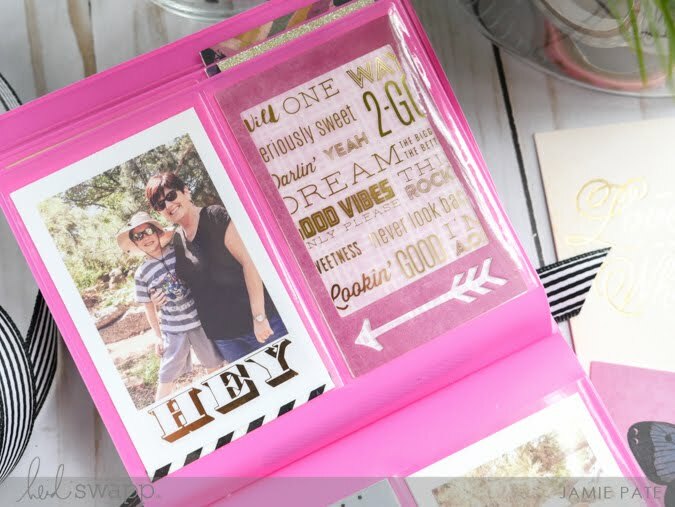 It's just a fav way to add interest and get the viewer to really engage with the photos and cards. Again. I'm not recreating the page. I am simply repeating my sketch. Only here I had an image that would not fit a traditional Instax format. Instead I just printed it out in a 4:3 ration and wash taped it into the album. 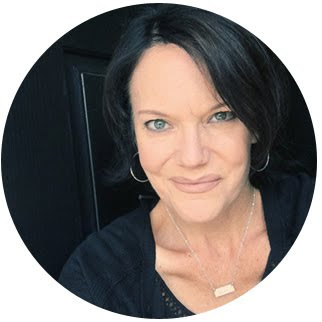 I may or may not have lifted this from my Heidi Swapp Media Team Mate Kim Jeffress on this fabulous album here: An Instax Flip Book That Will Inspire You. For the sentiment insert on the top right side, I kept the gold foil stickers from the Filler Pack intact. They were slid behind a frame (also from the Filler Pack) and used as they were for this embellished pocket. This was a fun technique and I really like how it turned out. As this album comes to it's end, the sketch never changes. This is a huge help when I am finding I am getting a bit behind in the gift making department. Every little extra support helps. Buzzword Stickers from the Stationery Collection was a great way to end this album. So grab that free download template. Take advantage of the sketch so you don't have to think. 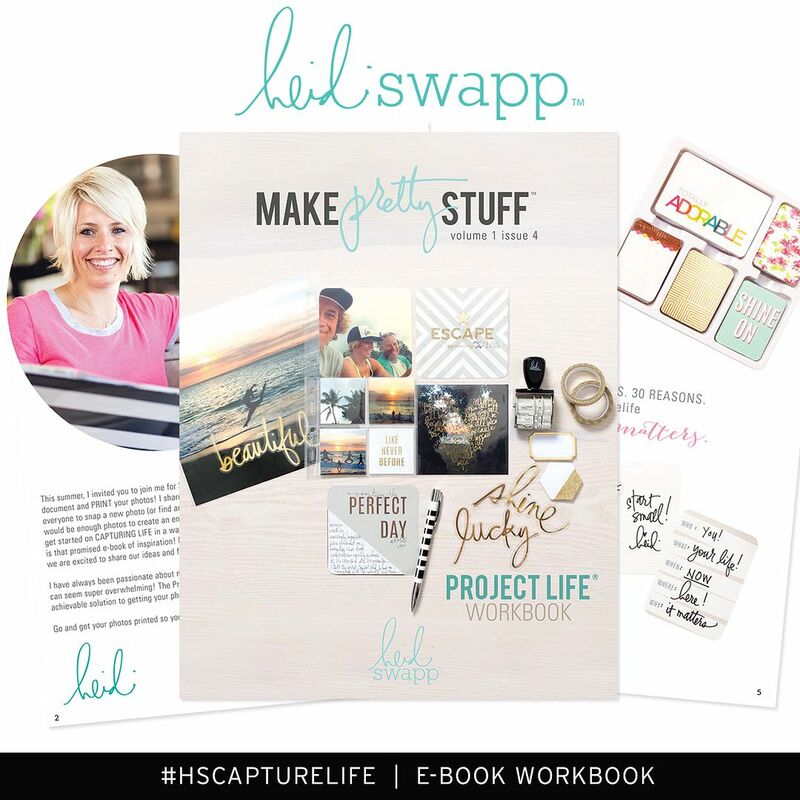 And create a super easy yet wonderful gift album and check off that list. 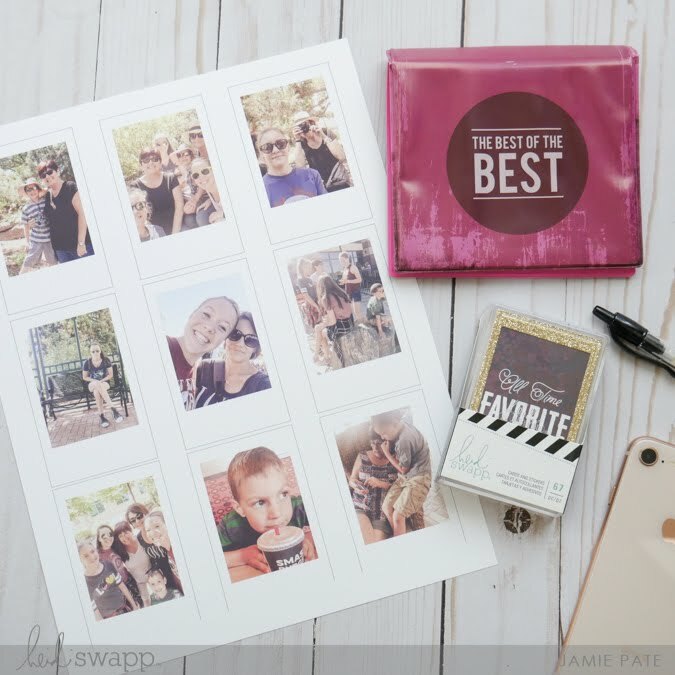 supplies | Heidi Swapp Instax Vintage available at Michaels Stores. The Best of the Best Flip Album. Floral Filler Pack. Black White Washi Tape. Stationery Buzzwords. Stationery Embellishment Kit.